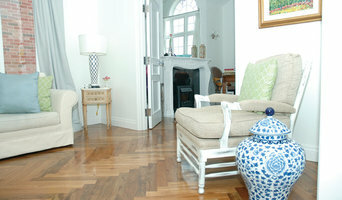 Tony Da Rosa who has been actively involved in flooring for 31 years established Antique Hardwood Flooring in 1988. With the desire to expand, Tony reached out to his two brothers Renato and Luis as partners. As a family run business they strived to provide quality workmanship and take pride in giving their clients accurate product knowledge, guiding customers to make the right decisions for their flooring needs, “we always do our best to cater to the customers every need – the desired wood width, finished or unfinished, reclaimed barn board, custom colour stains, exotic species, inlays, intricate patterns, logo design – your imagination – the sky’s the limit.” Associating themselves with Canada’s top manufacturers, Antique Hardwood Flooring takes pride in using majority of Canada’s leading wood flooring manufacturers. With the exception of a few, Tony Da Rosa believes in using Canada’s resourceful flooring companies taking pride in our country and what we have to offer. With doing so, we are able to receive pre-finished and unfinished woods in a shorter amount of time and with durability. *Authorized Victoria + Albert Bath Dealer* Barton Bath + Floor is the premier one-stop destination for bath, floor and kitchen items for your home. Purchasing directly from top manufacturers we are able to offer the best brands for less. Stocking an impressive selection of bathroom, flooring and kitchen products to meet the needs of any renovation or remodel project for homeowners or tradespeople, contractors and designers working with clients, we have a large inventory ready to take home today. Other items can be ordered and delivered to your home within a few business days. At Barton Bath + Floor we also work closely with tradespeople, contractors and designers, which means we put great care and pride into having the widest selection of products and inventory on our showroom floor. Our goal is to meet the needs of our partners every time. If we don’t have the specific item you’re looking for in stock, we would be more than happy to order it for you. Visit our impressive showroom today. __ We do not offer installation services. 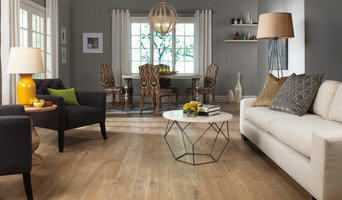 *Authorized Dealer of Shaw Floors* PDJ Shaw Flooring is a family owned and operated, full service flooring retailer! We pride ourselves for having quality products with very good prices. At PDJ Shaw Flooring we believe that it should be all about you. Our main goal is to do everything possible to make you satisfied. PDJ Shaw Flooring carries a complete line of products from the world's leading manufacturers. Click on the links below to find out more about these products. Looking for high quality, all-Canadian hardwood flooring? Look no further! All BreezeWood products are made with sustainably sourced local hardwoods, and are manufactured and finished in Southwestern Ontario. A third-generation family-run business, BreezeWood and its integrated group of companies, have been a trusted name for quality hardwood products since 1959. All BreezeWood products have an extremely low carbon footprint because they are sourced, manufactured and finished locally, all within a 1-100 km radius of the sawmill. BreezeWood works directly with local land and wood lot owners, ethically sourcing hardwoods and giving back to the local community. In addition to delivering a superior product, BreezeWood is certified by the Forest Steward Council® (FSC®) and the Rainforest Alliance. 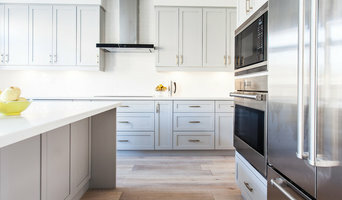 With a wide selection of colours and industry-leading finishes, backed by strong warranties and excellent customer service, you can be sure that these truly Canadian floors will stand the test of time. BreezeWood flooring is available at select retailers and our three sawmill factory showrooms in Tillsonburg, New Dundee (Kitchener) and Bass Lake (Orillia).